These are the words that come to mind when you enter Peppers Mexican Restaurant. 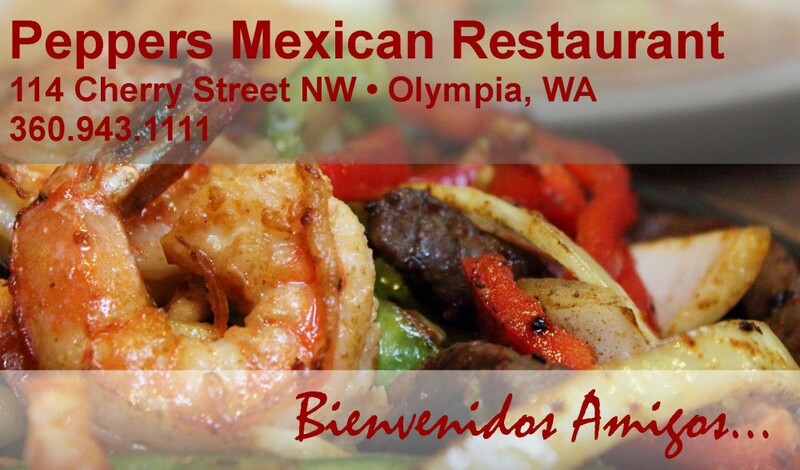 Peppers is a locally owned and operated establishment located in downtown Olympia across from city hall. Our food is prepared in traditional Mexican fashion using all fresh, high quality ingredients. Our dishes are delicious and your plate will always be full! We offer a generous menu with plenty of options for all of your different dining adventures. At Peppers, you will always find friendly, knowledgeable staff and a great environment. We also offer delivery throughout Olympia, Lacey, and Tumwater as well as catering options for your events.